The 98 Series features a contemporary wrap-around style. It provides increased angular coverage and improved peripheral vision. Molded-in brow guard and vented sideshields give additional protection. Available in both hard-coated for scratch resistance, or uncoated for extra cost savings. 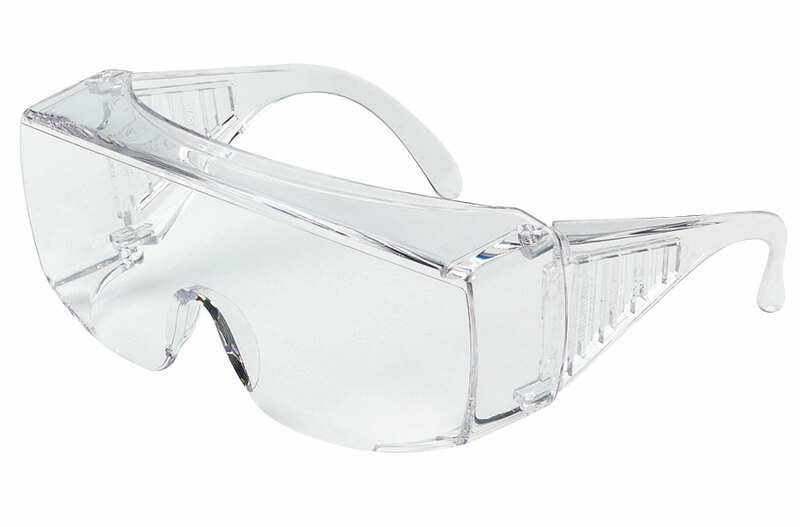 The 98 Series XL is an enlarged version that allows room for wear over regular prescription eyeglasses - a low-cost safety provision for temporary workers or visitors to the workplace who use prescription eye wear. Meets or exceeds ANSI Z87+ and CSA Z94.3.